Yes, I choked on a chicken bone. People who have seen me eat would be surprised because I'm pretty slow when I eat and I tend to really shred the chicken and make it bite-sized which I also did the last time I ate chicken. This is probably why during the first 30 seconds that I was choking, it didn't register on me that this was something serious. I thought it was one of those I choked a bit but it'll easily dislodge and everything would be fine kind of situation. I even got the glass of water so I could drink right after but suddenly, I realized that I was STILL CHOKING. My initial reaction was to panic, but I was able to call on to M and motion to him that I was having a problem. He then attempted to initially pat my back to help dislodge the bone that was blocking my airway and when that didn't work, he did the Heimlich on me. He had to do it 2x though because it was apparently stuck quite well and I was starting to see spots. The whole time it was happening, I had so many thoughts in my head. No way, this can't be. Oh, M knows how to do the Heimlich. Wait, why can't I still breathe? I can't die on a chicken bone! No way! This is so lousy. Who dies from a chicken bone? Did M just lift me up with that Heimlich? Weird right? Apparently, while you're struggling for dear life, you can still think of the most mundane things in the world. Now for better handling of the situation and in case you are not as lucky as I was and you start choking on your food while you're alone, here are a few tips. Really hard not to do but if you want to live, try your best not to panic immediately. 2. Figure out if you can still make a sound or cough. If you can, you'll be okay. Cough as much as you want so you can cough it out. When you cough, don't go for that dainty cough but really do your best to imitate coughing out sticky phlegm. 3. 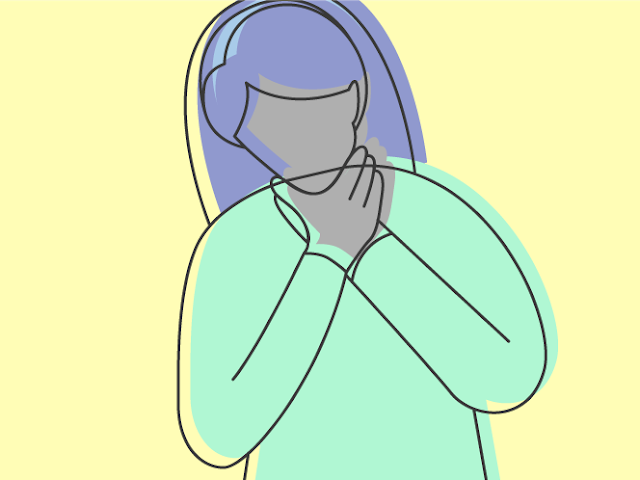 If it's still stuck, you can actually do the Heimlich on yourself. To do so, make a fist with one hand and place your thumb of that fist below your rib cage and above your belly button. Wrap your other hand around your fist and push against the pit of your stomach in a hard, quick motion. You can also use the corner of a chair or table to push against the pit of your stomach. 4. Worst case scenario, call our version of 911 and pray that they are able to track you so even if you passed out, help could be on the way. If you were able to dislodge the food, observe yourself to ensure none of the food has been left behind or embedded in your throat. Happy eating!